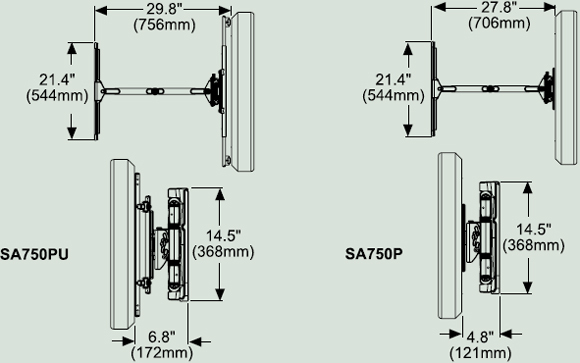 SA750P Articulating Wall Arm for 32" to 50"
The new SmartMount 700 Series Articulating Arms are more than just another pretty mount. With a full 1" of internal cable management and color-coded electrical and A/V component knock-outs, the new SA750 models provide the most cable management in the industry for a truly clean installation. 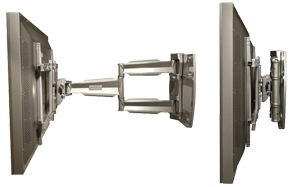 Its double stud, single arm design allows for up to 10.75" of horizontal adjustment for perfect screen placement. The SA750 models are UL-listed to hold up to 4 times the stated load capacity.